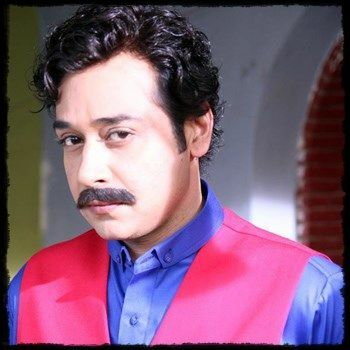 Faisal Qureshi, a brilliant actor and his versatile appearance has made him one of the most soughed out actors in Pakistani entertainment industry. He is very much excited for his upcoming drama serial in which viewers will see him in a different character. Faisal Qureshi is doing his first project with Big bang and I very much impressed by the production and the overall direction of this serial. Faisal Qureshi has high hopes from this drama and is also keen to receive viewer’s response for his new get up in this drama. “Ashiq Hussain” is Faisal Qureshi’s upcoming drama, produced by Big Bang Entertainment. The director of the show will be Anjum Shehzad (director of Khuda aur Mohabbat) and the writer is Sana Fahad (writer of Koi Nahi Apna). “I was just handover with the script and asked to read and accept when I feel like doing it. I read it and the whole script really enticed me to say yes to it. Finally I am a part of this drama now and satisfied with the casting”, Faisal Qureshi added. Well up till now not much is known about the plot other than the fact that Faisal himself is satisfied by it. Has told that the script forced him to be a part of the show and that it will have a good cast. The rest of the cast includes filmstar Saima, Maria Wasti, Zahlay Sarhadi, Maha Warsi, Moomal Khalid, Saboor Ali, Salahuddin Tunio and Afshan Quraishi.